Drinking alcohol during pregnancy can cause a woman’s baby to be born with birth defects and developmental disabilities. In fact, alcohol is the leading cause of preventable birth defects and developmental disabilities in the United States. Alcohol consumption during pregnancy is the nation’s leading preventable cause of developmental disabilities and birth defects. Babies who are exposed to alcohol in the womb can develop fetal alcohol spectrum disorders (FASDs). These disorders include a wide range of physical, behavioral and learning problems with possible lifelong implications. Each year, as many as 40,000 babies are born with FASD. When a woman drinks alcohol so does her baby. Alcohol easily passes through the placenta, the organ that nourishes a baby during pregnancy. According to the Centers for Disease Control, there is no known safe amount of alcohol during pregnancy or when trying to get pregnant. 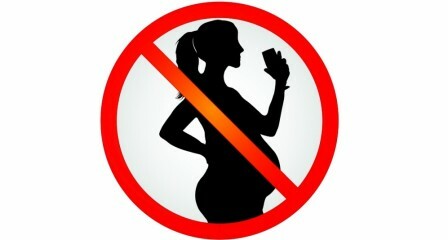 There is also no safe time to drink during pregnancy. Alcohol exposure during the first trimester — perhaps before a woman even knows she is pregnant — can cause major birth defects. Later in the pregnancy, drinking alcohol can cause poor growth and brain damage that could lead to learning and behavioral problems. All types of alcohol are equally harmful, including all wines and beer. FASDs refer to the whole range of effects that can happen to a person whose mother drank alcohol during pregnancy. These conditions can affect each person in different ways, and can range from mild to severe. The most severe type of FASD is fetal alcohol syndrome (FAS). It is caused by heavy drinking during pregnancy. Fetal death is the most extreme outcome from drinking alcohol during pregnancy. People with FAS might have abnormal facial features, growth problems, and central nervous system (CNS) problems. People with FAS can have problems with learning, memory, attention span, communication, vision, or hearing. They might have a mix of these problems. People with FAS often have a hard time in school and trouble getting along with others. FASDs last a lifetime. There is no cure for FASDs. However, research shows that early intervention treatment services can improve a child’s development. Doctors may prescribe medicines to help with some of the problems associated with FAS, including attention deficit hyperactivity disorder (ADHD), depression, aggressive behavior, sleep problems, and anxiety. Giving up alcohol during pregnancy may be hard.